You will develop a knowledge and understanding of key social science disciplines that have a bearing on development studies; the social and development theory that underpins development discourse and policy intervention; the past and present social, political and economic conditions of developing countries; and qualitative and quantitative research methodologies in the social sciences. You will be able to choose from a list of options on a range of topics relevant to development, allowing you to tailor your learning to match your own particular interests. Over the summer between your first and second years you will have the opportunity to carry out fieldwork towards your dissertation. Teaching is delivered through lectures, classes and workshops. Class sizes are small – between 5 and 30 students – encouraging active participation and enabling students to learn from each other. The Course Director for 2018/19 is Professor Cheryl Doss. In 2016/17 we celebrated the 20th anniversary of the MPhil with a one-day event in Oxford for alumni, current students and staff. Find out more about the celebration. You will spend the summer following your first year preparing to write your 30,000-word thesis. You will choose the topic, with the guidance of your supervisor, and, in most cases, spend some of the summer doing fieldwork and gathering data. In the second year, you will take your chosen option courses and write your thesis, which is submitted at the start of the final term. The course focusses on the way economists think about development. Topics may include key concepts in economics (e.g. opportunity costs, the role of incentives) and applications to developing countries. The goal is to provide students with an understanding of economics as a discipline that speaks to other social sciences and that can help explain some of the recurring patterns that we see in developing countries. Topics may include the themes of state formation and development; encounters between different civilisations; colonialism, collaboration, and resistance; nationalism, decolonisation; class formation, gender relations, and the formation of political identities; politics and policy. Students will be expected to show knowledge of developments in countries from more than one of the following regions: Africa, Asia, and Latin America. Topics may include the perspectives of anthropology upon social change, modernity, progress and commonwealth; personhood and well-being; social and personal agency; authority and responsibility in the field of productive activity; marriage, kinship, family and gender in theory and practice; technological innovations; development planning and identity struggles. The Core Course introduces students to the multi and inter-disciplinary nature of development studies, and to the concepts and tools that enable critical engagement with a wide range of theories and themes. This is not a ‘how to’ course; it is primarily concerned with the intellectual challenges of understanding processes of social, economic and political change. As a relatively new field, Development Studies has engaged with ideas from sociology, geography, anthropology, economics, and politics, among others. This fertile yet contested ground is represented in our topics for Term 1. Lectures are arranged to reflect the chronology of when particular theories, which evolve over time, have been especially pertinent. In Term 2, we turn to the key narratives and debates in development. The coverage is by no means exhaustive, but it reflects our strengths, exposes students to innovative research in the field, and draws in policy implications and applicability where possible. We shall portray development as an ideological construct, as much as a set of practices. These ideas and practices speak to the issues being covered in the Foundation courses, including colonialism, identity and community, political formations, market and non-market exchange, decision-making, security and insecurity, conflict, personhood, culture, nature, health and well-being, settlement, natural resources, cultivation and sustainability, modernisation, planning and resistance, etc. Development represents many narratives, which may not always come together in a synthesis. At the end of the course, we shall endeavour to have a cross-cutting conversation to assess some of these parallel, complementary and conflicting discourses. Please note that available options change from year to year. Below is a list of some of the options that were available to second-year students in 2018-19; there is no guarantee that the same options will be offered in future years. This option explores the construction of social order in Africa through the discourses and practices of punishment, broadly defined. It looks at how both states and informal groups defined and policed criminality and deviance, marked differences of race and ethnicity, regulated labour and gender relations, and contested ideas of rights and citizenship. Drawing on the disciplines of history, politics and anthropology, the option explores the establishment of colonial legal codes and their consequences for social order; the criminalisation of politics and the politicisation of punishment; and the visions of order expressed through popular and private efforts to discipline anti-social and criminal activities. The option draws primarily on cases from central and southern Africa. This option examines human development, seen as the expansion of capabilities or intrinsically valued freedoms, and scrutinizes the instrumental interrelationships between dimensions of poverty. It covers key topics and debates such as ethical foundations of human development; the interconnections between dimensions of poverty; multidimensional measures of poverty and inequality; and agency, empowerment and democratic practice. It explores particular cases in depth and addresses selected policy issues. This option examines key concepts in gender and development relating to: population; land-use and the environment; employment, assets, markets and credit; social issues; civil society; violence and conflict; political organisation and theories of power. This option will provide a survey of the recent literature on development economics. Students will learn about key insights from the academic literature on development, including materials assessing the effectiveness of different programs and policies aimed at promoting development. The option will also examine the methods and data sources used in contemporary development economics. This course examines technology and industrial development and policy in developing countries and their role in the development process, drawing upon the experience of a wide range of countries, particularly from East Asia and BRICS, to illustrate the analysis. Key topics and debates likely to be covered include industrialisation, economic growth and the industrial policy debate; national innovation systems and role of the state; transfer of technology and role of trade, TNCs and migration; lessons from the East Asian Tigers; indigenous versus foreign innovation efforts and catch-up the BRICS experience; appropriate technology and industrialisation in Africa; bridging the digital divide information technology and development; and technology for inclusive and sustainable development. This option examines the political history, political sociology, political institutions and political economy of South Asia (India, Pakistan, Sri Lanka and Bangladesh) since 1947; the state, political institutions, party politics and ‘movement’ politics; conditions for democracy; the politics of gender, class, caste, religion and ethnicity; the evolution of political ideologies; social organisation, culture and identities as they bear on politics; the politics of ‘development’. This eight-week course explores the history of young people’s struggles for self-mastery in Africa and the attempts by social and political authorities to control them – dynamics that have been at the centre of some of the continent’s most pivotal events. As part of this course, students will critically engage with the epistemological ways in which categories of ‘youth’ are constructed and the ontological experiences of the young people affected by them. This course builds on the foundational concepts and core methodological tools acquired during the first year Foundation Course in Social Anthropology and applies them to the study of sustainable development core concepts and policies. The course examines attempts by developing governments to integrate environment and development policies at national and regional levels, as well as debates and controversies over development priorities. The ways in which natural environments are represented and ecosystem services constructed will constitute a particular focus for attention within a broader examination of integrated conservation and development policies. This option examines the Indian state over the 60-year post-colonial period, tracing the shift from interventionist developmentalism to economic liberalisation. It addresses theoretical debates about the nature and role of the state, and topics such as the grand visions of secularism, developmentalism, modernisation and liberalisation; actors and institutions such as the bureaucracy, political parties, judiciary and middlemen; and practices, policies and politics of the state in relation to big capital, farmers, labour, ‘the poor’ and the environment. You can see photographs from previous MPhil fieldwork and get a sense of the range of destinations visited and topics researched on the Fieldwork tab. 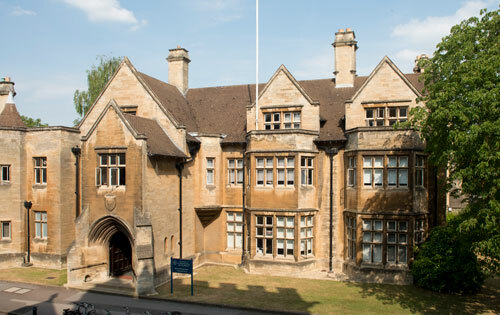 My education in Oxford not only contributed to my intellectual development and increased my confidence to work in challenging, intense and competitive environments, it has also continued to open doors for me professionally. MPhil students usually spend the summer between their first and second years carrying out fieldwork. Many cite this as one of the most rewarding aspects of their study, giving them a chance to investigate and test out ideas developed in the classroom in a real world setting. Find out where this year's students are heading with our clickable fieldwork map. Past students have researched an enormously diverse range of topics, from weather-related risks in Ethiopia to child migrants in China, Maoist schools in Nepal to midwifery in Afghanistan. You can see a selection of photographs from previous students' fieldwork below. The awards recognise excellence in teaching and learning. Please refer to the course webpage on the University's Graduate Admissions pages for full information on selection criteria, application deadlines and English language requirements. Also see our How to Apply page. Enquiries about the MPhil in Development Studies should be addressed to the Graduate Student Administrator, admissions@qeh.ox.ac.uk.